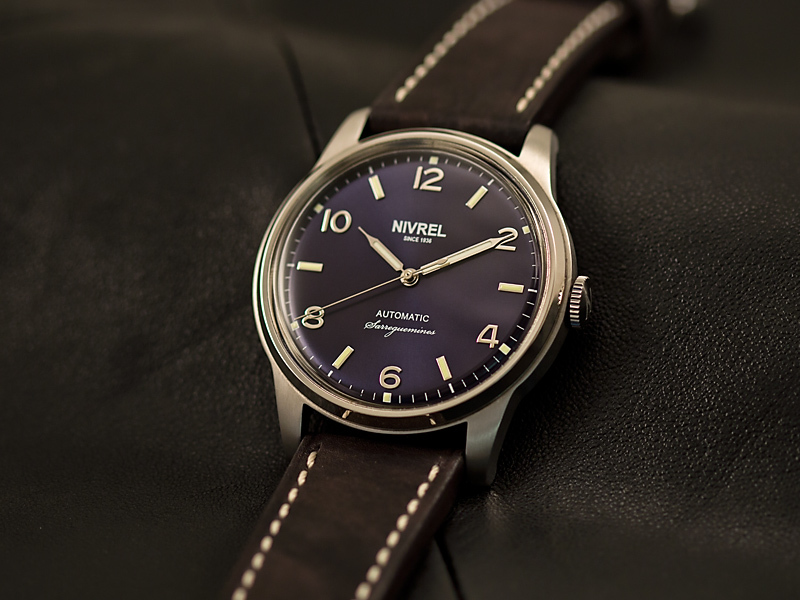 Renowned Swiss/German watch brand NIVREL has announced the launch of special anniversary model in 2013 on the 20th anniversary of NIVREL being a German brand from the Saarland region. The special edition anniversary model will bear the name Coeur de la Sarre (French for: the heart of the Saar). Gerd Hofer, fourth generation of the jewellery entrepreneur family Kraemer/Hofer from Saar-brucken/Germany acquired the Swiss watch brand NIVREL in 1993, together with his wife Gitta. They seamlessly integrated the watch production into the entrepreneurial structures of the Kraemer/Hofer family. Today, their children continue to lead the family tradition: goldsmith Sven Hofer is the managing director of the Kraemer jewellery store in Saarbrucken, his sister Anja Hofer is CEO of NIVREL and manages the watch company together with her partner Guido Grohmann. 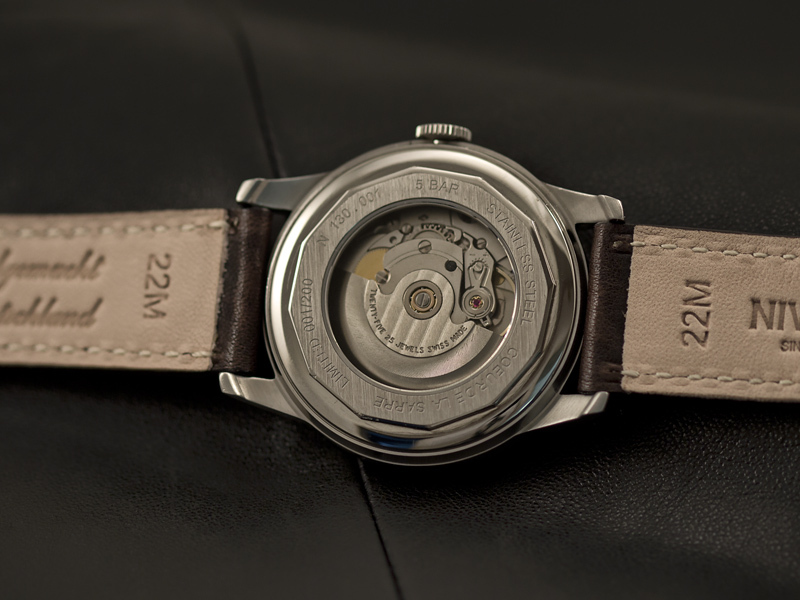 In 2013, NIVREL will celebrate the 20th anniversary of NIVREL being a German brand from the Saarland region and the anniversary watch model will bear the name Coeur de la Sarre (French for: the heart of the Saar). Historically, NIVREL originated from the brand Marvin. Marvin was founded in 1850 by Marc and Emmanuel Didisheim in St. Imier, part of the Swiss Jura region. 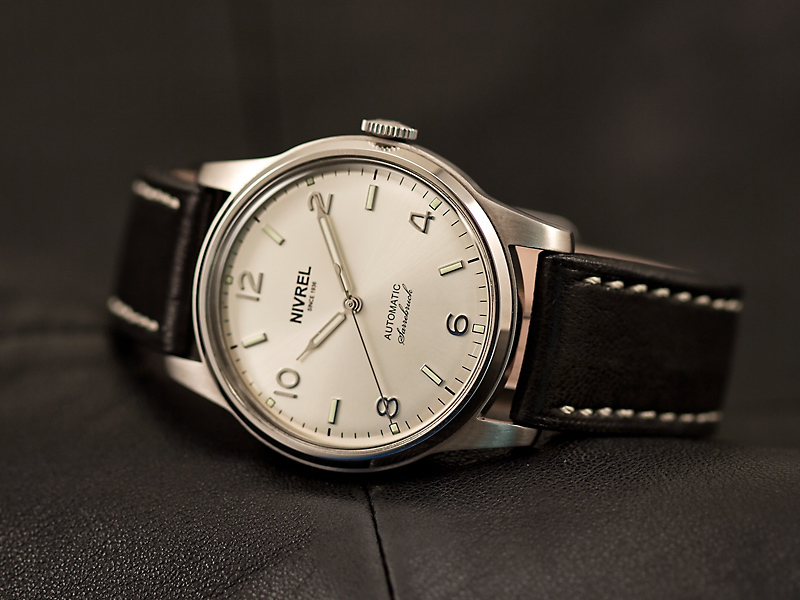 In 1936, the company introduced a new brand, NIVREL. 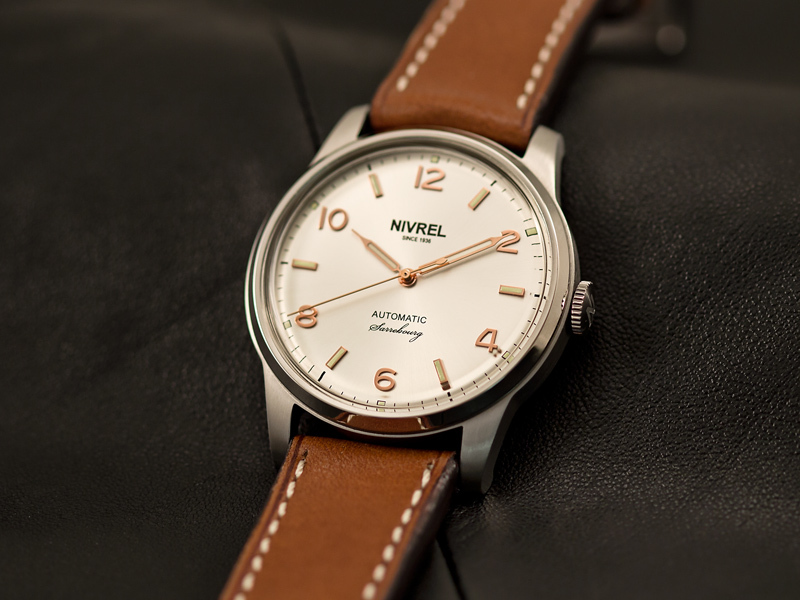 NIVREL featured men’s watches with chronographs and calendars, as well as small ladies watches. Movements were either provided by existing suppliers, or produced in-house. In the 1970’s, with the so-called “quartz crisis,” came big changes to the Swiss watch industry. Many big brand companies changed hands or died out completely. Unfortunately, Marvin and NIVREL also vanished from the market; lying dormant for nearly 20 years until Gerd and Gitta Hofer from Saarbrucken revived NIVREL in 1993. 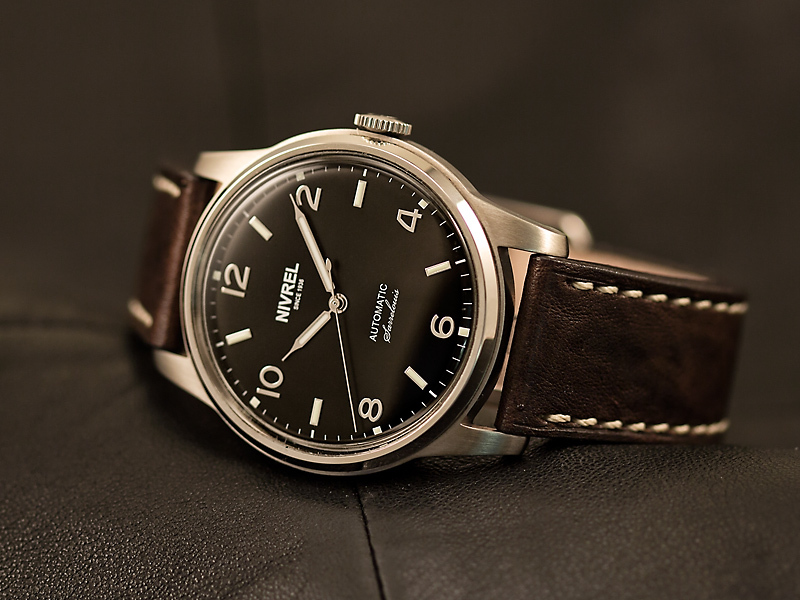 NIVREL has found excited customers for individual watches from Saarbrucken all over the world. That’s why the company is able to celebrate the 20th anniversary of the watch production in Germany today. A wonderful occasion to dedicate a watch model to the Saar region and its people: The new Coeur de la Sarre! The special edition model for the 20th anniversary of being in the German Saarland region bears the name: Coeur de la Sarre (heart of the Saar). This slogan has been an integral part of the NIVREL brand logo for many years. It expresses our close relation to our personal roots in the Saar region. The Coeur de la Sarre is the new model within the Replique edition. It comes in four different, limited dial executions. The executions are named after four cities in the Saar region, two on the German ’Saarland‘ side, two on the French ‘Lorraine’ side. The four cities all bear the Saar River in their names: Sarrebruck (Saarbrucken), Sarrelouis (Saarlouis), Sarreguemines (Saargemünd) and Sarrebourg (Saarburg). On the watch dials, the names are spelled in French as reminiscence to brand’s closeness to the French neighbors and to their joint, laid-back lifestyle, the ‘Savoir Vivre’ as we call it. Even more, 2013 is not only an anniversary year for NIVREL. It also marks the 50th anniversary of the Franco-German Friendship Treaty (Élysée-Treaty) on 22nd January 1963 that has had such a positive effect on the Franco-German region. As all watches within NIVREL’s Replique Edition, the Coeur de la Sarre engages with the history of the brand. Since 1994, watches in the Replique edition have always picked up the design of an older NIVREL model from the 1940ies and 1950ies. While the first models have always been chronographs, the new model Coeur de la Sarre is the first one to be reminiscence to a classical three-handed watch. The Coeur de la Sarre picks up a design that could be found on most NIVREL models from the older, Swiss era of the brand. A round case with a domed crystal (Plexiglas on older models) and a dial which shows the time by Arabic numbers in the positions 2, 4, 6, 10 and 12 o‘clock. The positions in between are marked with applied indexes. Glass and case back: Curved, hardened mineral crystal, stainless steel case back with window. Dial with sunburst guilloche, applied indexes, luminous with Superluminova C3. Sarrebruck: Silver-coloured. Labelled ‘Sarrebruck‘ at 6 o‘clock. Silver-coloured, Arabic, applied numbers. Sarrelouis: Black. Labelled ‘Sarrelouis‘ at 6 o‘clock. Silver-coloured, Arabic, applied numbers. Sarreguemines: Blue. Labelled ‘Sarreguemines‘ at 6 o‘clock. Silver-coloured, Arabic, applied numbers. Sarrebourg: Champagne-coloured. Labelled ‘Sarrebourg‘ at 6 o‘clock. Rosegold-coloured, Arabic, applied numbers.